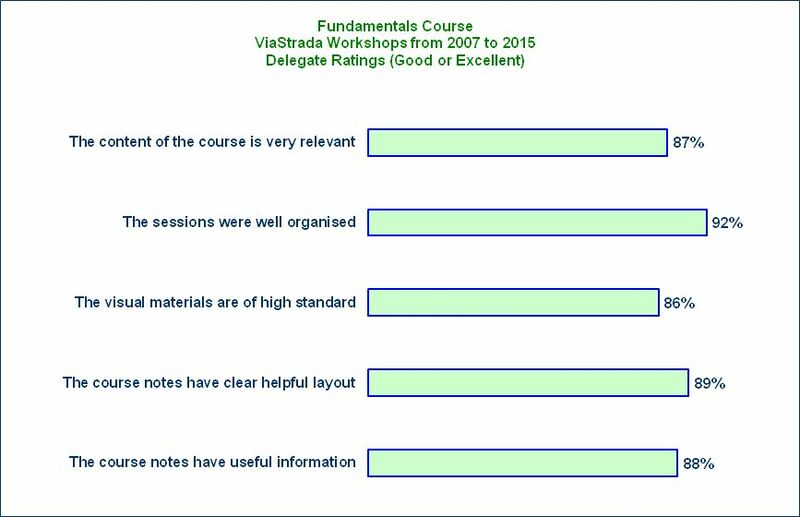 ViaStrada runs a series of training courses to introduce the principles of planning and design for cycling in New Zealand. The courses are aimed at anybody planning, designing or reviewing roads or other facilities used for cycling. This includes planners, general roading engineers and road safety practitioners. Local body politicians, people involved in the health sector, students and cycling advocates can also attend the courses. To date, over 1300 people have attended fundamental and advanced courses in Planning and Design for Cycling. All participants receive a set of presentation slides for note taking, and other reference material. Attendee numbers are usually limited to ~25-30 to ensure that there are opportunities for questions and discussion throughout the course. The workshops include lectures, discussions, practical exercises and may include a site visit. Following on from the award winning Fundamentals course, Advanced courses were developed in conjunction with the NZ Transport Agency (NZTA) to lift the industry's performance to the next level of professional competence. The content of the cycling training courses was completely revised and restructured earlier in 2014 and from July 2016 also reflect the introduction of NZTA's Cycling Network Guidance and a more multi-modal planning approach (with more updates in early 2019). New training formats, including interactive case-based workshops and online webinars, are being developed for delivery in conjunction with NZTA. We would like to hear from anyone who is interested in attending courses in cycle planning and design or an advanced interactive intersection design workshop. To express interest in these offerings, please contact Glen Koorey, indicating preference for training type and preferred location(s). Further course dates/venues may also be considered, subject to demand. The course makes reference to various new components of the NZTA Cycling Network Guidance; it also considers how e-bikes and other low-powered devices (e.g. e-scooters) affect planning considerations. The course summarises recent advancements in cycling planning and design understanding, based on recent research and using case studies from a wide range of New Zealand projects implemented in the last five years, and there is also some discussion of current Transport Agency policies/processes for implementing cycling programmes. To register, please download the appropriate form, complete page 2 and return it to Anna. Early-bird fees are only $400+GST (advocates $150+GST). Please contact Anna Castellani if you have general queries, and Glen Koorey for more information about course content. This interactive workshop was held for Auckland Transport staff and their consultants and focused on advanced intersection design issues, particularly around signalised intersections and roundabouts. Participants received a series of introductory presentations and then work in groups on four real-life Auckland site problems. 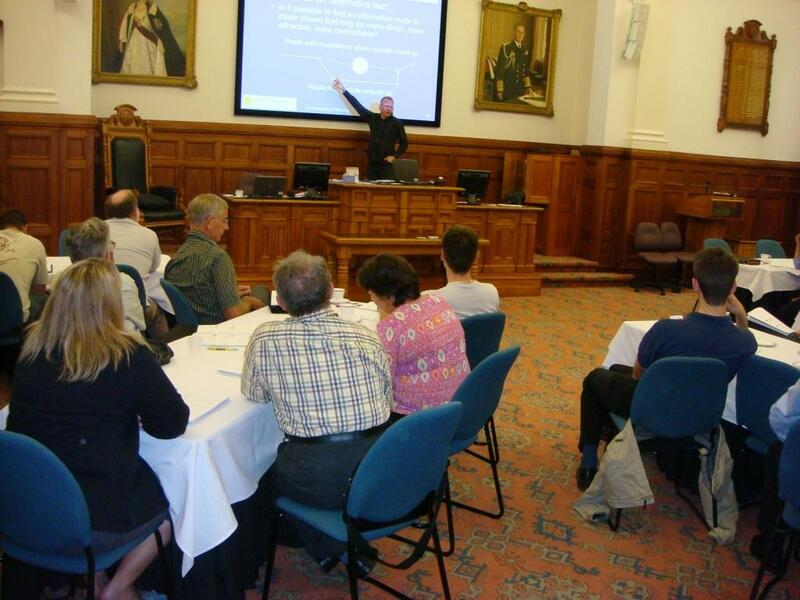 Further advanced workshops in Wellington and Auckland are being considered, subject to numbers. Presenters for recent courses were ViaStrada Director Axel Wilke,Transport Engineer Megan Gregory, and Senior Traffic Engineer Glen Koorey. Axel is well-known in New Zealand for his expertise in sustainable transport and especially cycle planning and design. Megan has published and presented several research and technical papers and has particular interest in road safety and sustainable transport. Glen has also presented the course many times in the past and was involved in its original development. The most recent courses are being co-presented with members of the NZ Transport Agency Cycling Team, who provide additional expertise in both technical matters and Agency policy and procedures. Please do not hesitate to contact Glen (027 739 6905) if you have any enquiries about course content or about whether the course is appropriate for you. It is recommended that all participants should complete a half-hour on-road cycle trip (about 10km) in an urban area no more than a month before the course. Tim Hughes (Senior Engineer, NZTA) says about these courses: "When I travel around New Zealand, I can see the basic skills taught in this training course being applied to an increasing number of projects". The course, including this quote from Tim Hughes, was profiled in the Land Transport News newsletter (2007, page 6).